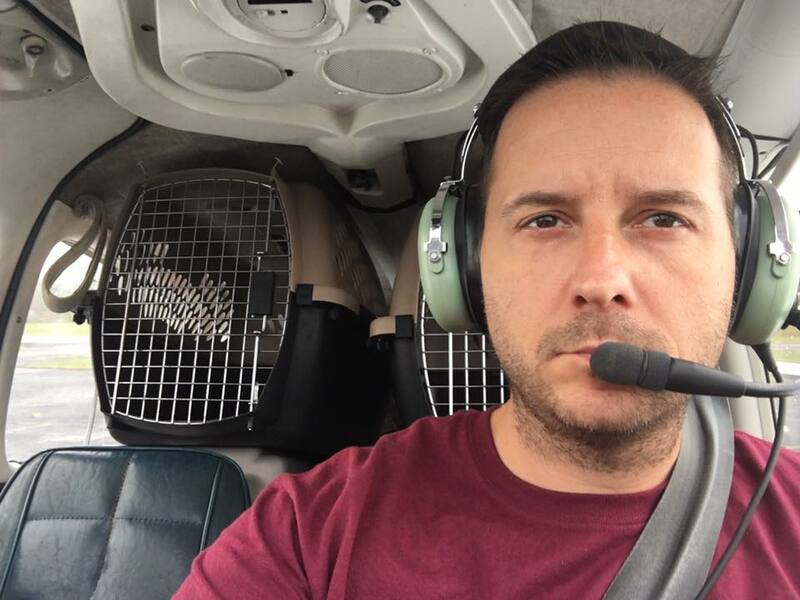 Paul Steklenski, founder of Flying Fur Animal Rescue, is a pilot who helps animals who have a hard time getting adopted by flying them all over the country to rescues that can help them. 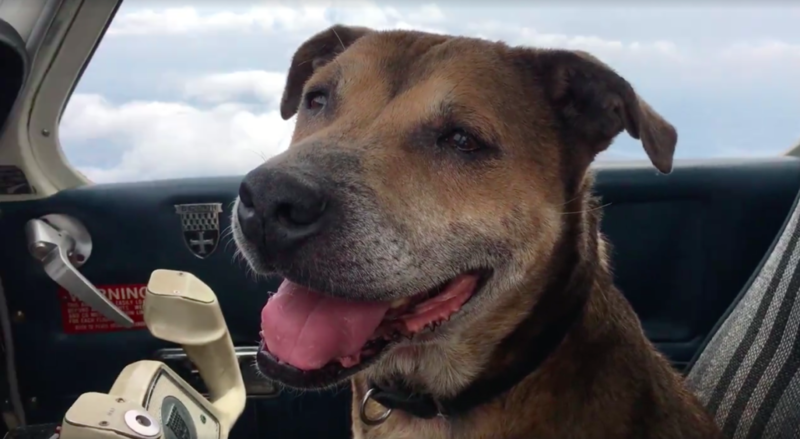 He has gone as far as raising money to buy his own plane and even takes off of work so he can fly dogs more often! 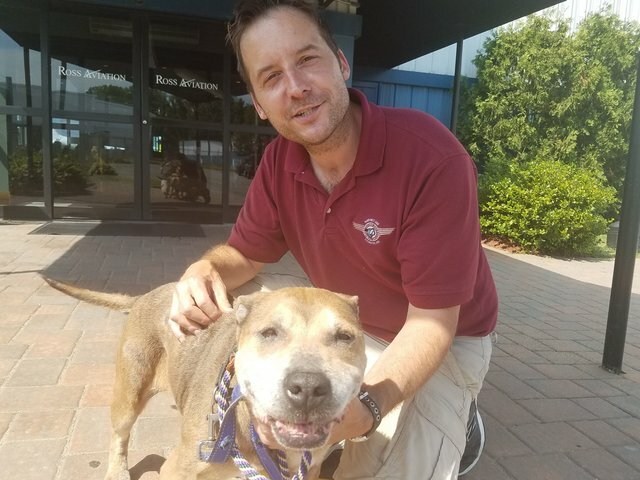 He has flown hundreds of dogs to safety, and every dog he has helped has meant so much to him, but one dog in particular really tugged at his heart strings. 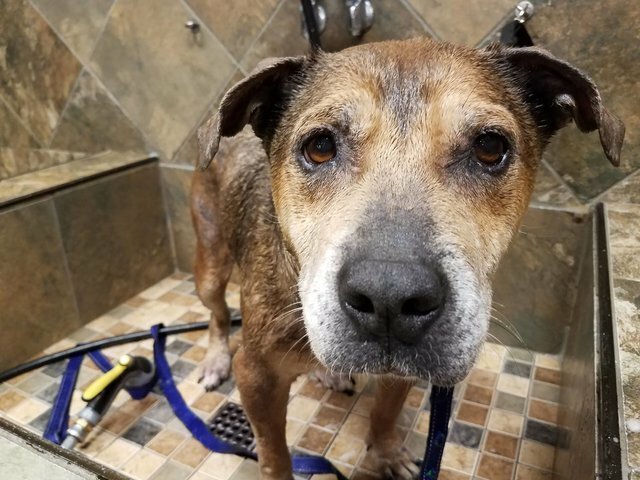 This 14-year-old dog, named Emma, was sadly neglected and eventually ended up in a shelter. Believe it or not, the stressful environment of a shelter was even a step-up from her previous life. Poor Emma was kept outside and slept in the dirt under a porch. She wasn’t cared for and had never felt love. Thankfully, Emma is getting a second chance all thanks to Steklenski! Whenever he talks about her and her rough past, he cries and gets very choked up. Emma has meant so much to him. He is beyond grateful that he could be part of the reason that Emma will have a chance to find a loving forever home. She is waiting for the perfect family to adopt her while living with a foster through Animals-R-Family. 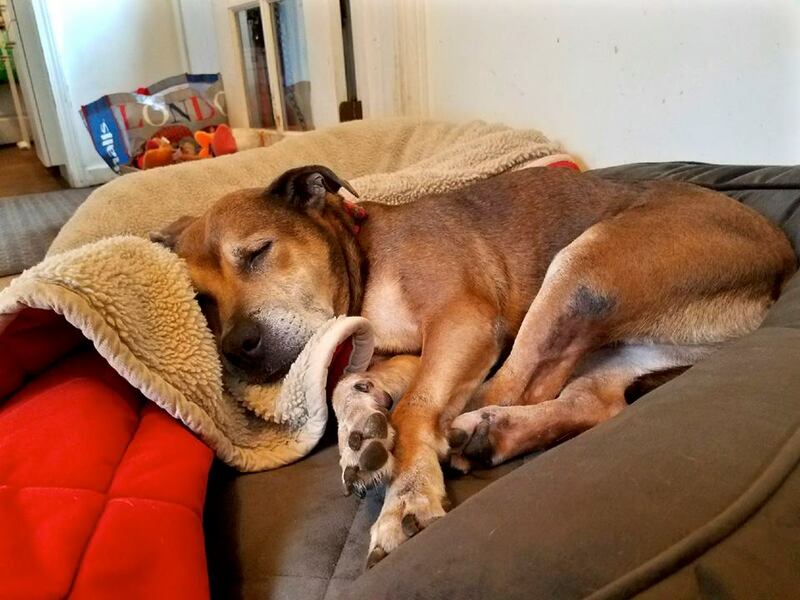 Emma is a very sweet, loving and easy-going dog. She is up to date on her vaccinations and is spayed. She is great with children and other dogs, but prefers a home without cats. Despite her old age, she is still very active and enjoys going on walks. However, she does have a few protruding discs in her spine, so it’s best that her new home doesn’t have stairs to get in and out of the front door. She is also on meds, which cost nearly $120 a month, but a kind-hearted sponsor has already agreed to cover the costs for the rest of her life! Click here if you’re interested in meeting or adopting this sweet girl!